The AN/SPG-60 or Separate Target Illumination Radar (STIR) is an operating in X-Band monopulse, Doppler aquisition, tracking and target illumination radar for RIM-24 Tartar and RIM-66 Standard missiles. It is a part of the MK-86 gun fire control system. The antennas pedestal is stabilised. 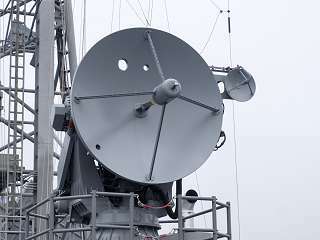 The parabolic reflector has a diameter of 4 m. The antenna can be fitted with a boresighted TV camera looking through a hole in the reflector providing a passive visual tracking during extreme jamming environment. The development began in the late 1960s, with the first prototypes of the Mk 86 delivered to the US Navy in March 1970.